Purely the essence of amazing country charm, with every appointment! At over 3,500 finished square feet and 3,645 total. 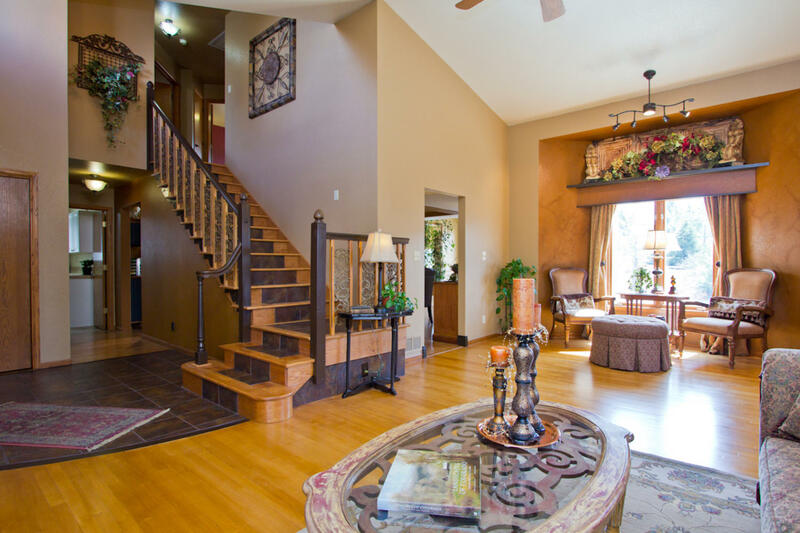 This beautiful open 2 Story flows comfortably With exceptional quality and detail! 2X6 walls, dual stage high efficiency furnace, central A/C, and Newer Roof - Massive Remodel this a must see 4 spacious Bedrooms and 4 Baths! Oversized 3 car garage plus 2 additional Bays in the 40ft X 32ft Heated Shop with wood burning stove! 3 separate outbuildings including a 14ft X 10ft Finished Studio, and 12’X8’ Potting Shed & endless outdoor living areas! & Now…. for the Chef! 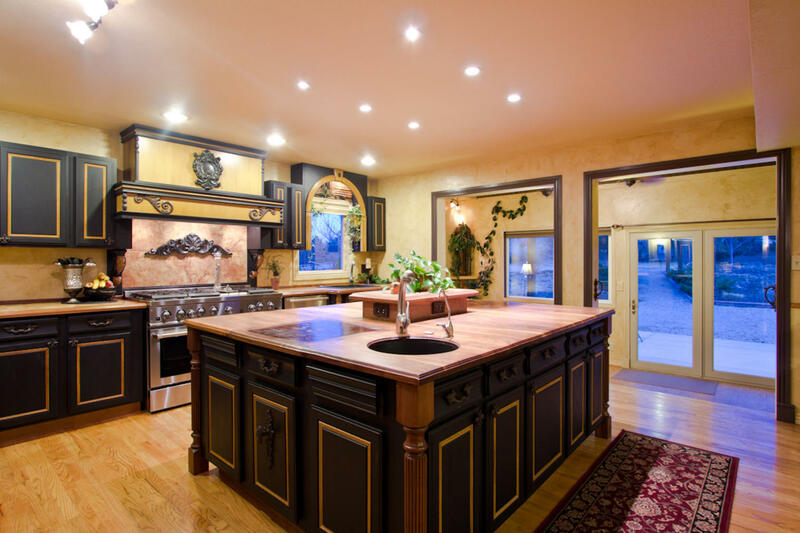 !, Walnut island with prep sink and, Brazilian cherry cutting Surfaces Stainless Gourmet Kitchen appliances, Jenn-Air 6 burner GAS range w/griddle, Built-in Sub-Zero Fridge, reverse Osmosis Water Filter, composite sink. Full irrigation front & back – a Gardener’s Dream, solid hardwood floors, separate Bedroom & Bath in lower level, Beautiful detailed ceiling treatments and tile work, spacious main floor Utility Room with an abundance of cabinetry and countertops and sink! Dream-away in comfort in the amazing Master Suite with vaulted ceilings – with 5 piece luxury master bathroom, larger corner soaker tub, And spacious shower with built-in seat- filled with character and beautifully done! 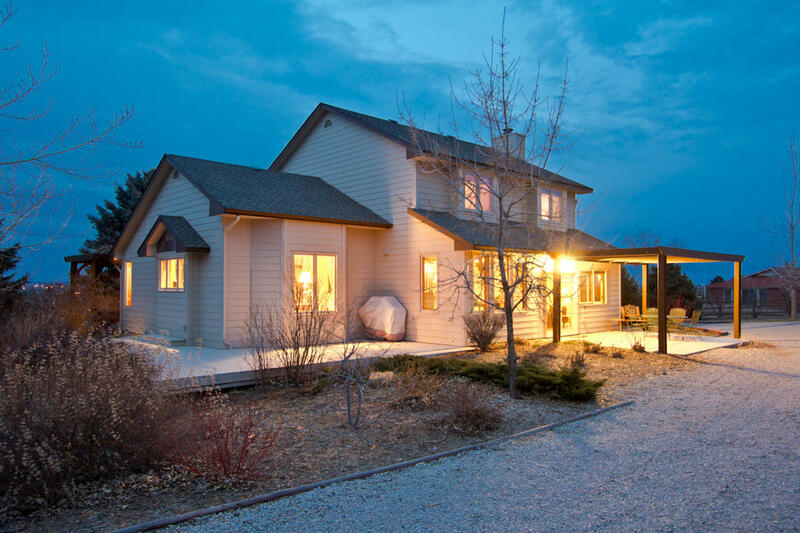 Easy to Show, a true treasure - gorgeous property! Looking a place for all your Colorado toys and crafts? Here is it! Amazing Remodel - flexible/comfortable layout, newer hot water heater 2012, all Appliances stay!